New Orleans About the best thing that Democrats can say these days is that November is still seven months away and that anything can happen in politics in that time. True that, but otherwise for Democrats facing the mid-term elections, if it weren’t for bad news, they wouldn’t have any news at all. 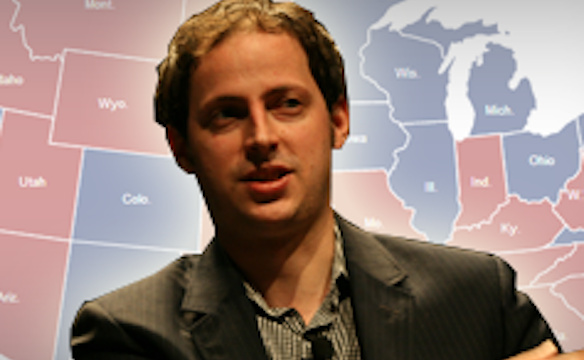 Master big data man, Nate Silver, of the 538 blog who has become legendary in recent elections for calling the numbers and the states on the electoral count, is saying that Republicans are in the lead to take the Senate. The nonprofit Pew Research polls find Democrats behind in three critical categories among independents, whites, and millennials. Republicans are leading 47 to 38% among independents who are often the tie breakers. Where millennials were solidly with the Democrats a couple of years ago with 59% support they are now down to 49%. Among white voters Democrats are now behind 38 to 53%. Oh, and worse, whites are expected to be 80% of the midterm electorate. You want more bad news, where Democrats are leading heavily among Latinos but of course not having delivered on immigration reform, voter participation and registration has declined among Latinos in both the 2010 and 2012 elections and is expected to continue to fall for the 2014 midterms. And to put a cherry on top of all of this the President’s popularity is only at 44%. Can massive voter turnout turn all of this around? Sure, but usually the falloff of voter participation drops from over 60% of eligible voters in presidential elections down to less than 50% in the midterms, and, did I already mention that 80% of those voters are expected to be white as a sheet? The discouraging news in the Senate is also based on where the contests are taking place in states where Republicans are rising like Arkansas, Alaska, and of course Louisiana. A story in the Wall Street Journal reflecting on Senator Mary Landrieu’s frighteningly close ties to the oil and gas industry in her home state, seemed to argue that she could pull it out, but to say something is a tight bet is different from a sure thing. Meanwhile other commentators are pitching the emerging battle as essentially the Koch brothers, who are already committing money tens of millions in pushing the Senate buttons, against Obama. The one thing that recent months seem to have produced in startling fashion is voter fatigue even though there were no elections since these days we seem to all be victims of eternal campaigning. There’s time for a turnaround of course, but someone has to grip the wheel and for progressives I get the sense that no one is in the driver seat. This entry was posted in voting rights and tagged 538 Blog, Democrats, election predictions, Nate Silver, Pew Research by Wade. Bookmark the permalink.